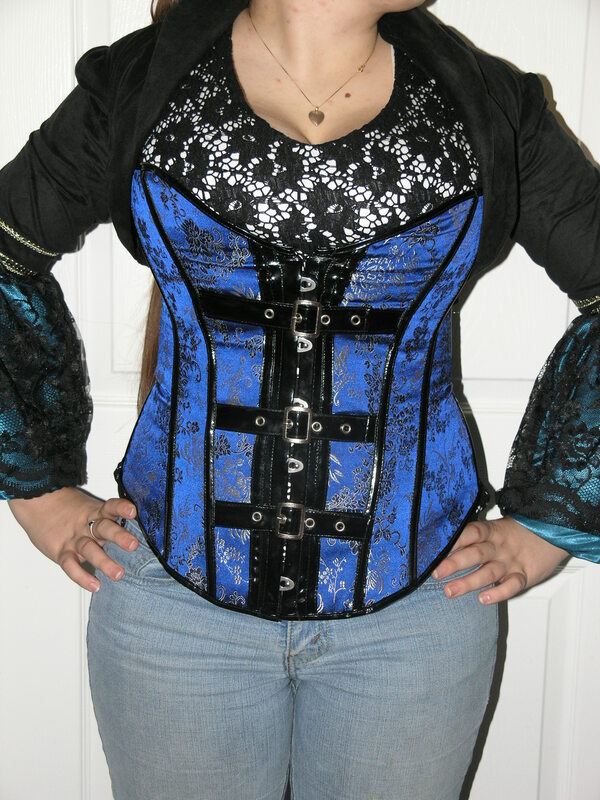 Due to time constraints, we decided to buy a corset for Kayle’s steampunk. It came in the mail today. Luckily, the colors will be integrated with her hat since the blues are different shades.